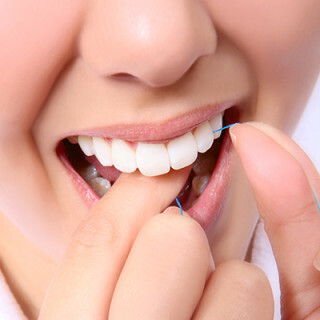 Flossing isn’t just something all of us at 12 Oaks Dental in Austin recommend as an optional part of your oral health care routine. In fact, flossing is absolutely crucial for a healthy mouth and healthy gums. The American Dental Association (ADA) recommends flossing at least once a day for optimal oral health. Flossing allows you to successfully remove the plaque and bacteria between your teeth that your toothbrush alone can’t reach. By flossing every day, plaque doesn’t have a chance to harden into dangerous calculus or tartar. By properly flossing every day, you’re not only removing hard-to-reach plaque, you’re also protecting your smile from cavities and gum disease. However, it’s still important to see your dentist in Austin regularly for checkups and professional cleanings. If you’re due for a checkup, or if you want some more tips on how to get into a healthy flossing routine, call us to schedule an appointment today! A dear friend, Judy, gave me this recipe. Judy used to make the cole slaw for the spring meeting of friends and board members of the then Institute of Christian Studies gathering of 50-75 people. The coleslaw is perfect to make for a large group! Only changes, I use Safflower Oil because its considered healthier by some and it’s lighter in taste. I usually, leave out the one teaspoon of poppy seeds that Judy’ recipe includes. And I use less onion, as printed below. In summary: Make to your personal taste! Then add mixture to 2#. Bag of Coleslaw. Toss and refrigerate 1-2 hrs. Note: 2# bag Taylor’s Coleslaw -washed and ready shredded cabbage ( I buy at Sam’s for $1.99). 1/2 dressing recipe per 2# shredded cabbage. If extra dressing, refrigerate; it stays good for weeks! Brushing your teeth seems like a pretty straightforward task: Brush in the morning, brush at night and that’s all there is to it. However, all of us at 12 Oaks Dental in Austin want you to know that it’s not really that simple. While brushing at least twice a day is great for your smile, it’s even more important to make sure you’re doing it correctly. Following these tips can help lead to an overall healthier mouth. However, keeping up with regular visits and professional cleanings with your dentist in Austin is still important. If you’re due for an exam or professional cleaning, call 12 Oaks Dental to schedule an appointment today.